Do you decorate your home for fall and into the Thanksgiving holiday? If you answered “Yes,” this craft is for you. Tell people what you are thankful for this year with your wreath. 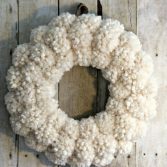 Sure, you might know how to set a stylish table and make your own centerpieces, but no decoration compares to a wreath. It is eye-catching, cheery, and gives people a deeper insight into who you are. 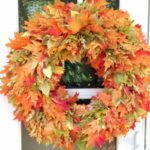 Use these instructions to make your felt flower wreath for the fall season or for Thanksgiving. 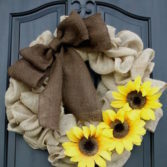 For a link to the felt flower wreath video, click here. 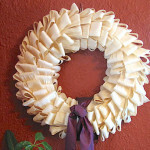 Cut a long strip from the cotton fabric and use it to cover the wreath frame. Attach the ends to the frame with the glue gun. To make a felt flower, cut one felt sheet into 4 squares. Take one square and round off the edges. Starting from one corner, cut the sheet inwards in a circular manner. The cuts don’t have to be perfect as flaws add more character to the flowers. Start rolling the cut sheet inwards starting from the outer cut. Roll till you get to the center and attach the tiny part left with glue. Repeat the same process to make more flowers. You may need a significant amount of time to make the flowers. 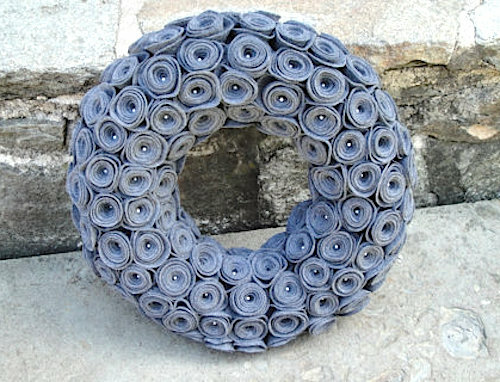 Once you are done, attach them to the wreath frame with glue. Glue flowers around the middle part of the frame before moving onto the other parts. Depending on the size of your wreath, you may need 5-6 rows of flowers. Use your ribbon to make a bow. Attach it to the wreath using hot glue. 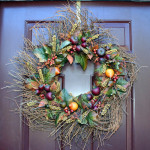 Hang your wreath indoors or out. 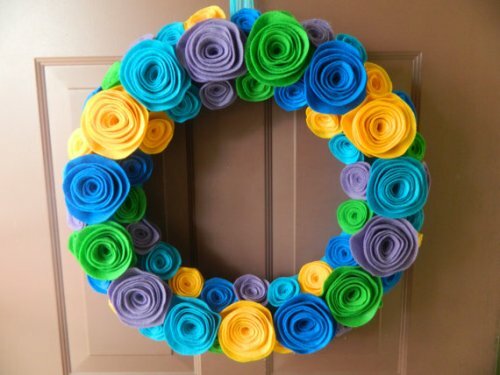 If you enjoy making wreaths, you won’t have a hard time making this felt flower wreath. 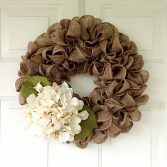 It may take more time than other wreaths, but the end result it totally worth it! It is also very versatile. You can change the bow to reflect different seasons or occasions. 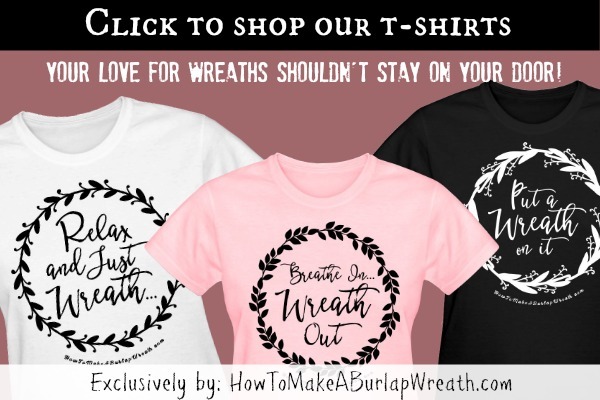 Make many wreaths and give as gifts to your family and friends. 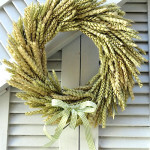 What fall and Thanksgiving wreaths are you making this season?